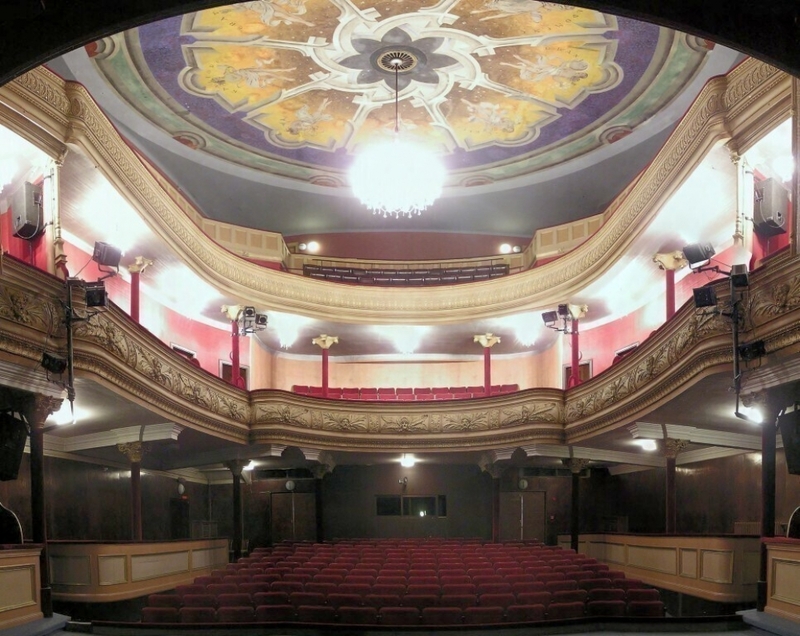 The local theatre was named after Oskar Nedbal (1874 - 1930). 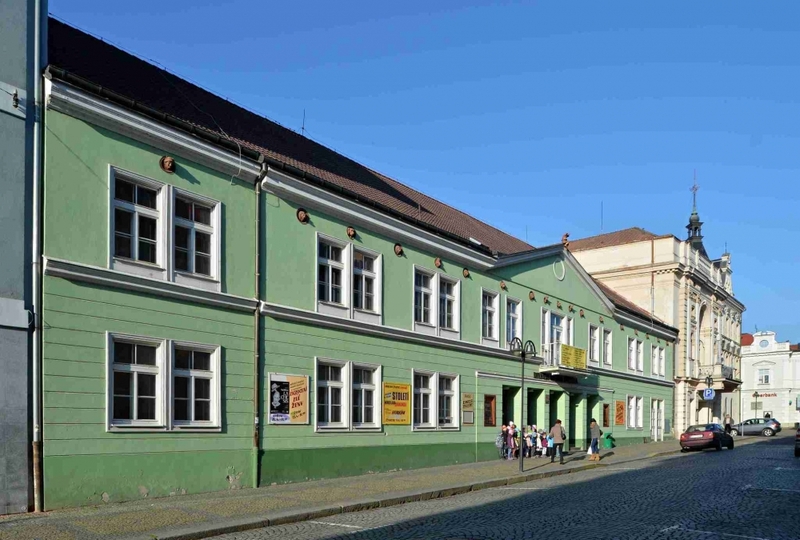 He was a famous composer, conductor, virtuoso and a member of the well-known Czech Quartet; he was born here and lived here until his graduation at grammar school. All his life he kept fond memories of the town where he spent his childhood. There used to be performances in various places in the town already during the Baroque period. As early as the 18th century an amateur theatre company, whose members were mostly respectable citizens of the town, was established. 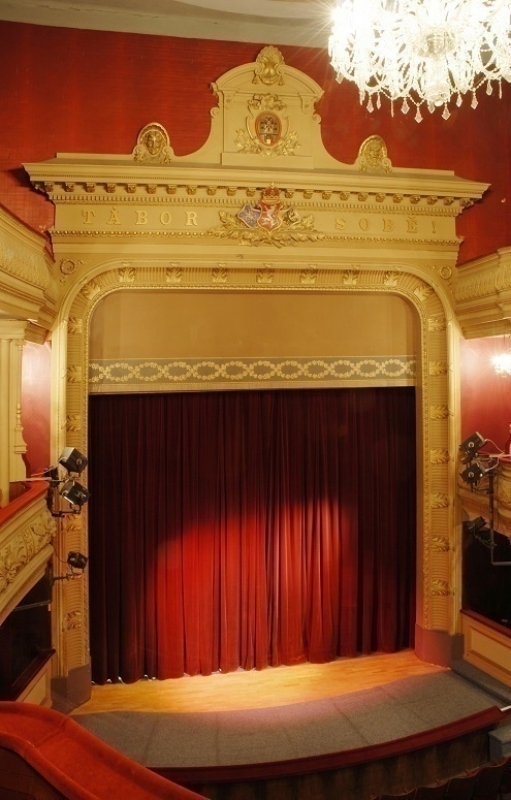 In 1840 theatre enthusiasts turned a granary into a theatre, and so on October 17 of that year a first permanent stage was opened in the same place as the present theatre. Only after pulling down the Prague Gate was there enough space for a new building which was built in the year 1887. 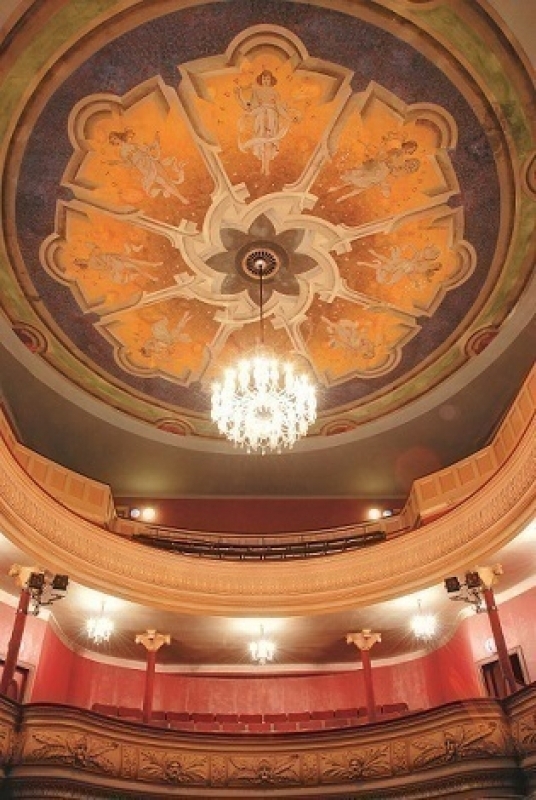 Its constructors were inspired by the National Theatre in Prague, the symbol of the national revival. 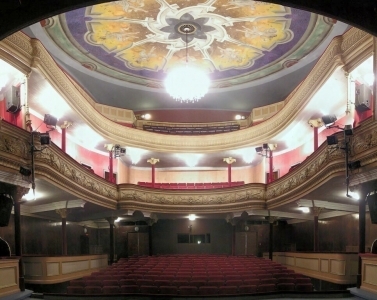 They not only copied the Neo-Renaissance style of the façade, but also the interiors remind one of the National Theatre. 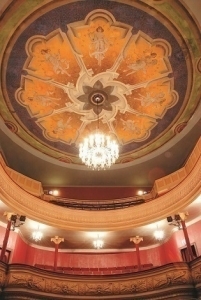 In 1965 the theatre underwent a thorough reconstruction and at the same time a modern theatre building with a neo-classical front was adjoined to the old one. The new theatre can seat nearly 700 people. 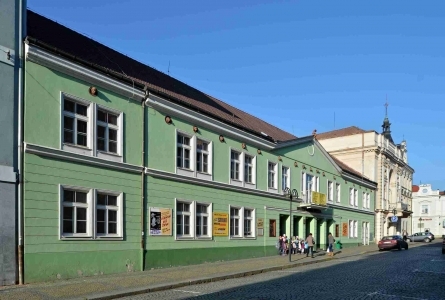 Since the reconstruction Tábor has had a Central European rarity because only an auditorium was added during the reconstruction not another stage and so the theatre has one stage with two orhogonally attached auditoriums.